If you’re tired of being marketed to via intrusive ads, direct mail, purchased email lists and other forms of interruption marketing, you’re not alone. Now, more than ever, people are relying on their own abilities to search out products and information they’re interested in, and are feeling empowered to choose what and who they will ultimately trust. Not surprisingly, the thought of being ‘advertised to’ is an immediate turn-off for many web users. We do our research, we subscribe to blogs that interest us, and we know exactly where to turn when we need more information or data. And we especially don’t need anyone telling us who we should trust; we can figure that out just fine on our own. We know that trust comes out of relationship, not advertising. Yet, most companies still pour hundreds of thousands of dollars towards traditional interruption marketing and many don’t even have a way to measure their return on investment (ROI). In short, inbound marketing is about attracting people to your business who are already interested in and looking for what you have to offer. Inbound marketing is about creating value for your ideal customer, and about earning their trust and respect rather than simply paying for their attention. Savvy marketers at this point may be wondering if we’re using the term inbound marketing interchangeably with content marketing. The two have much in common, and in some cases, are nearly identical. Generally speaking however, content marketing can be thought of as a part of inbound marketing – albeit arguably the most important part. Inbound marketing is about getting found, and one way in which you can get found is by creating valuable, engaging content. However inbound marketing moves beyond that into social media engagement, as well as search engine optimisation. You can conceivably be using inbound marketing strategies without using content marketing, but the reverse is impossible. Since the beginning of time, there have been those who are born marketers. Those who thrive on making cold calls, who never miss an opportunity to close a sale, who live for making the rounds at tradeshows. But for the rest of us who prefer a more organic sales process, the spread of inbound marketing as not only a way to connect with customers, but perhaps the best way, is a breath of fresh air. Inbound marketing allows us to build relationships with our ideal customers, to offer valuable information that is unique to our business, and to do it all in a way that is effective, honest, and totally organic. To put it simply, outbound marketing is becoming less effective, more costly, and is generally delivering an overall lower ROI than traditional outbound marketing methods. Inbound marketing delivers 54% more leads into the marketing funnel than traditional outbound methods (Source: HubSpot 2013 State of Inbound Marketing Report). Great content has the potential to go viral. When you educate clients with high-quality, original content, people are more likely to want to share it via email, Facebook, Twitter, and bookmarking sites like Delicious.com. This is a type of organic exposure you could rarely ever achieve through outbound methods. Content sharing and syndication increases search engine rankings. When your content is shared and posted on other sites, you gain valuable backlinks to your website, which in turn acts as recommendations to your business, increasing your website’s authority and improving your search engine rankings as a result. Inbound marketing allows you to build long term relationships with your customers. Since inbound marketing relies on interaction and dialogue, you’ll find yourself spending far less time soliciting and finding leads, and far more time talking with customers and building long term relationships. This allows you to continue to create and offer products or services that your customers need, because you’re in tune with those needs. Inbound marketing is cheaper than outbound marketing. Inbound marketing, while typically being more labour-intensive, also tends to cost much less than traditional outbound methods (62% less, in fact.) This is great news for businesses and consumers alike; For businesses this means reduced marketing costs and levelling the playing field (inbound marketing allows businesses with smaller budgets to compete more easily with larger businesses). For consumers it means businesses must work hard to gain their trust; and this means they must actually be trustworthy, not just say they are. You may be saying at this point, ‘I buy this whole inbound marketing thing in theory, but why isn’t it working for me?’. This is where the buying lifecycle comes into play. 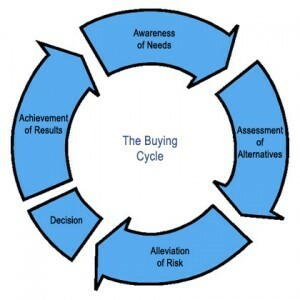 There are many different ways to dissect the buying lifecycle, but one way we can break it down is this: Awareness of needs -> assessment of alternative -> alleviation of risk -> decision -> achievement and results (usually a purchase). Your website content should speak to people regardless of where they’re at in this cycle. Whether they’re still determining what their needs are (awareness), or are ready to take the jump and make the purchase, your content should be speaking to them, and you should have a system in place for taking them through the process (aka lead nurturing). Although this article obviously has a clear slant when it comes to the value of inbound marketing vs. outbound marketing, this doesn’t mean I believe the two to be mutually exclusive. 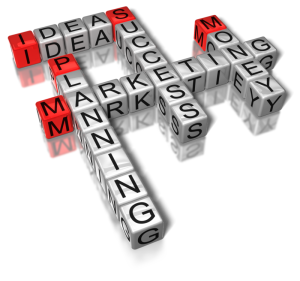 In fact, a solid marketing strategy will most likely need to incorporate both in order to work most effectively. When it comes down to it, there’s no doubt that outbound marketing does generate leads and sales. The problem, however, arises when marketers use it to the exclusion of more relational methods of inbound marketing. But when used together, inbound and outbound marketing can be an extremely powerful and effective strategy. In 2012, Salesforce.com was on a mission to grow both their website traffic and leads in the UK. In order to do this, they launched a campaign to promote a content-rich microsite that would be created and tailored with exactly the type of content their ideal customer would appreciate. Excellent content. They generated 32 pieces of original content, including an ebook, blog posts, infographics, and slideshares. 90/10 product messaging. A good rule of thumb for any site is to promote products only 20% of the time. For this launch, Salesforce decided to only promote products when necessary, approximately 10% of the time. Promoting the site. Methods of promotion included social media, reaching out to expert advocates who would share with their networks, guest blogging, PR, and reaching out to employees’ external networks. Outbound marketing: These included sponsored tweets, LinkedIn banner ads, and ads on the Google Display Network. Collaborating with thought leaders in the field to produce content. These leaders also shared the content with their audiences. The result of this campaign was quite extraordinary: an 80% increase in overall website traffic, a 2500% increase in traffic from social media, 6500 newsletter signups, and 10,000 leads generated. Inbound marketing is all about providing valuable content and information to your customers, regardless of where they’re at in the buying cycle. It’s about offering what people are already looking for, not interrupting them and convincing them they need what you’re offering. With a good inbound marketing strategy, you can work hard at getting to know your customers better and better, and then sell to them (hopefully) again and again. By earning their trust and respect, you’re building relationships that will continue to benefit both buyer and seller for years to come.